RPI, as a member of the Northrup Grumman (NG) Team, joins six other large business companies who were awarded a combined indefinite delivery/indefinite quantity (ID/IQ) supply contract from the Space and Naval Warfare Center (SPAWAR) Atlantic for Cyber Mission Engineering. The work includes procuring technical, engineering, and systems acquisition requirements for Command, Control, Communications, Computers, and Combat Systems (C5), Intelligence, Surveillance, Reconnaissance (ISR); Information Operations (IO); Domain Focused Intelligence (SIGINT, IMINT, Identity Intelligence; Meteorology and Oceanography (METOC); Cyberspace Operations (Offensive, Defensive, Exploitation); Electronic Warfare (EW); Enterprise Information Services (EIS); and Space Related services. This contract includes a five-year ordering period, one 24-month option period, and one six-month option-to-extend-services if required. Work will be performed worldwide and is expected to be completed by November 2024. If the option is exercised, work would continue through May 2027. RPI was awarded a SeaPort-NxG Prime contract to provide professional services to the Navy, Marine Corps, and other Agencies. This is a follow-on contract to our current SeaPort-e contract that is set to expire in 2019. Leading to this award was the merit of our past performances supporting the Navy and Marine Corps. RPI has 34 team members/subcontractors on our team and we are also teamed with 23 other companies who won a Prime contract. SeaPort NxG will focus on engineering and program management support services and includes a five-year ordering period and one five-year option period. RPI, as a member of the three separate small business teams (Grove Resource Solutions, Inc. (GRSi); Millennium; and Sim Ventions (SimV)) was awarded a combined ID/IQ contract from SPAWAR Atlantic for Cyber Mission Engineering. The work includes procuring technical, engineering, and systems acquisition requirements for C5, ISR; IO; Domain Focused Intelligence (SIGINT, IMINT, Identity Intelligence; METOC; Cyberspace Operations (Offensive, Defensive, Exploitation); EW; EIS; and Space Related services. This contract includes a five-year ordering period, one 24-month option period, and one six-month option-to-extend-services if required. Work will be performed worldwide and is expected to be completed by November 2024. If the option is exercised, work would continue through May 2027. September 2018 – RPI Group is part of a team led by Tactical Edge, Inc. that was recently awarded a prime contract award with Marine Corps Systems Command (MARCORSYSCOM). The contract award, worth up to $49 million split over 5 years, was awarded to modernize three of the systems within the Marine Air-Ground Task Force (MAGTF) Logistics Support Systems (MLS2) software suite. This effort will focus on consolidating the three systems that make up the MLS2 software suite, into a single baseline utilizing a single Platform-as-a-Service (PaaS) approach to reduce the total lifecycle sustainment costs while improving data quality and end-user capabilities. The effort kicked off on September 5, 2018, with development, Information Assurance (IA), management, and support work being performed at multiple sites around the world. The three systems that make up the MLS2 software suite include Common Logistics Command and Control System (CLC2S), Transportation Capacity Planning Tool (TCPT), and the Storage Retrieval Automated Tracking Integrated System (STRATIS). STRATIS is also supported via a Secure Wireless (Air Fortress) infrastructure, enabling flexible warehouse management capabilities. Together, these systems provide a variety of Logistics-focused functions to the warfighter, including request management, supply and asset management, transportation planning, warehouse management, and secure wireless networking. RPI Group, Inc. (RPI), as a member of the UEC Prime Team, joins four other companies who were awarded a combined $949,900,000 indefinite delivery/indefinite quantity (ID/IQ) supply contract from the Space and Naval Warfare Center (SPAWAR) Atlantic. The contract is for Cyber Mission Systems, Kitting and Supplies. The work includes procuring systems that provide wireless communications, detection, collection and exploitation of electrical and electronic equipment to support the warfighter. Related services such as sustainment, maintenance and disposal may be procured under the scope of this contract. The contract is a five-year award with a 24-month option period. Work will be performed worldwide and is expected to be completed by August 2023. If the option is exercised, work would continue through August 2025. Marine Corps Base (MCB) Camp Lejeune currently has multiple Industrial Control Systems (ICSs) that require accreditation including: Building Control Systems like EMCS, high voltage electrical SCADA systems, and water/wastewater SCADA systems. For the last few decades, these systems were primarily standalone systems using proprietary control protocols that were not accredited and could not securely connect to traditional/shared information technology (IT) networks. Today, these ICSs are required to be connected to IT networks; however, caution must be exercised since these systems typically use insecure Internet Protocol (IP) devices that greatly increase the likelihood of cyberattacks. · Finding and retaining IT and OT ICS experts capable of accrediting ICSs. · Procuring devices that are Federal Information Processing Standard 140-2 (FIPS 140-2) validated – not just FIPS 140-2 compliant. · Finding a balance between IT/OT confidentiality, integrity, and availability priorities. IT prioritizes confidentiality and integrity over availability. OT prioritizes availability and integrity over confidentiality. Designing a system that addresses all three is challenging. In October of 2017, MCB Camp Lejeune hired RPI Group, Inc. (RPI) to support their ICS Accreditation efforts after using the same standalone system for the last few decades. The mission is to connect the ICS with the IT network while maintaining secure control to minimize the likelihood of cyberattacks. RPI Group, in support of Marine Corps Base (MCB) Camp Lejeune, has designed a “Type” accreditation package for the ICSs that will operate securely on any network, ensure the system securely and cryptographically isolates the subsystems, and accredit all ICS/operational technology systems. This proposed system architecture is based on two design requirements: it must provide a single management tool providing redundancy to each physical server and it must use an encrypted virtual private network to ensure and cryptographically isolate ICS/OT devices and subsystems. RPI Group has built an ICS/OT network based on shared virtualized environment with specific ICS/OT system firewalls (hubs), and FIPS 140-2 validated IPSec tunnels (spokes) to connect the ICS/OT devices to the IT network. This Hub-and-Spoke network along with the associated firewalls and end-point connection devices will require ongoing vulnerability scanning, patching and maintenance to be performed by RPI personnel. Camp Lejeune has spent the summer of 2018 working with the MCEN A&A team to complete a “Type” accreditation for these ICS/OT systems that can be used across the MCEN. The work will include finalizing controls, completing the System Security Plan, the Incident Response Plan, and the Contingency Plan, and lastly, the building/piloting of an off-network test platform. RPI Group Cybersecurity personnel have over 75 years of combined experience supporting the Warfighter and Operational Environments. This includes both DoD and commercial network security and risk assessments/audits, NIST RMF support, secure network architecture and design, and secure wireless solutions. RPI Group provides SME support in the engineering of innovative and cost-effective solutions for securing ICS/OT systems and in developing policies and procedures to establish organization compliance with governing directives. RPI Group has many years of experience directly supporting the Marine Corps and the Marine Corps Enterprise Network (USMC/MCEN) Authorizing Official (AO) and Certification Authority (CA) in RMF package review, policy writing, risk mitigations, and conducting risk assessments. RPI Group delivers quality services with experienced technical cybersecurity professionals in support of complex enterprise IT programs. Our experts are leaders in the cybersecurity field and are continually called on to engineer unique solutions to complex problems and to conduct IT security assessments and audits with high levels of national and corporate security implications. We bring vast enterprise technology experience to bear on all efforts, continually exceeding all assigned program goals and deliverables. Being experts in all four areas of the A&A process (supporting AO, CA, advising customers, and providing Validation services) gives RPI Group a unique perspective into the A&A process and is a great benefit to our customers. Fredericksburg, VA – March 2018 – RPI Group, Inc. (RPI) has recently become a Brivo authorized Dealer. Brivo, founded in 1999, is a cloud-based access control provider that has been backed by information security audits since 2009. Brivo earned its STAR certification with the Cloud Security Alliance Security Trust and Assurance Registry and complies with the EU-U.S. Privacy Shield Framework as set forth by the U.S. Department of Commerce. Their mission is to provide commercial physical security solutions that are simpler and better than any other technology on the market. To Brivo, that means making the best access control systems in the world at the lowest possible cost for their customers. Brivo products reach over eight million people at hundreds of thousands of locations. Brivo only sells products and services exclusively through authorized channel partners, such as RPI. Brivo solutions are provided to businesses who want to secure their facilities and manage their physical security with the convenience of cloud technologies and the power of mobile-first solutions. RPI joined the Brivo team with three certified technicians to offer our clients better security, flexibility, unlimited scalability, and integration with key systems. RPI chose Brivo because they wanted to accompany the millions of users around the globe that trust Brivo to protect their facilities and their people and we believe in continuing to build long term relationships with our current and new customers by providing outstanding technical support. Fredericksburg, VA – RPI Group, Inc. (RPI) was awarded a six-year IDIQ contract worth $1 million with Virginia Railway Express (VRE) to install new security cameras and access control equipment and to ensure integration of the installed equipment with the existing systems architecture. VRE is initiating a modernization of its security camera and access control systems as recommended by a recent Threat and Vulnerability Assessment (TVA), also performed by RPI. RPI was awarded their first contact with VRE in July of 2016 to perform a risk and security assessment of the VRE bandwidth and network infrastructure, develop a plan to optimize and enhance their critical infrastructure, and provide security training for their end users. This was the first risk and security assessment of this scope and magnitude that was undertaken by VRE. The security camera and access control systems is one of two follow-up task orders. VRE is a commuter train service that links the District of Columbia and Northern Virginia. The Northern Virginia Transportation Commission (NVTC) and the Potomac and Rappahannock Transportation Commission (PRTC) are transportation districts established under Virginia law and jointly own this service. An Operations Board consisting of members from each of the jurisdictions within the VRE service area governs the development and operation of VRE and serves as an advisory board to the VTC and PRTC governing boards. VRE began its operations in 1992 and carries an average of approximately 19,000 weekday trips on two lines. The primary mission of VRE is to provide commuter-oriented passenger rail service between outlying suburbs and the Washington-Arlington-Alexandria urban core. Some tourists and “day-trippers” also ride the trains. The service is heavily oriented towards that core area in the morning peak and in the opposite direction in the evening peak. Fredericksburg, VA - November 15, 2017 - RPI Group, Inc. (RPI) Cybersecurity is currently providing Risk and Security Assessment Services to the Potomac and Rappahannock Transportation Commission’s (PRTC) Bandwidth and Network Infrastructure. The PRTC is a multi-jurisdictional agency representing Prince William, Stafford, and Spotsylvania Counties and the Cities of Manassas, Manassas Park and Fredericksburg. PRTC provides commuter bus service along the busy Virginia I-95 and I-66 corridors to points north (OmniRide & Metro Direct), and local bus services in Prince William County and the cities of Manassas and Manassas Park (OmniLink & Cross County Connector). PRTC also offers OmniMatch, a free ridesharing service. Operated by PRTC in partnership with the Northern Virginia Transportation Commission (NVTC), the Virginia Railway Express (VRE) provides commuter rail service along the Manassas and Fredericksburg lines, connecting to transit providers at stations in Virginia and the District of Columbia. RPI is utilizing a 3-phase assessment approach. Phase One will capture a comprehensive understanding of PRTC’s network topology, data processes and infrastructure. The result of this first phase of data collection will support Phase Two capital budgeting recommendations that provide an optimal investment strategy to offset vulnerability gaps, implement remediation priorities and sustain improvements to the organization’s infrastructure and overall cybersecurity posture. Phase Three will deliver a training and education program that provides PRTC personnel with information about current best practices in cybersecurity, social engineering threats and countermeasures and raising awareness of risky network and online behaviors resulting in an educated and informed staff. Fredericksburg, Virginia – October 25, 2017 - RPI Group, Inc. (RPI) has partnered with Cyberkong (CKI) to complete a wireless security assessment for one of CKI’s commercial clients. RPI will deliver two Enterprise Wireless Security Assessments and subsequent reporting to ensure this organization is utilizing wireless networking technology securely. With the recent discovery of a flaw in the Wi-fi Protected Access 2 (WPA2) security standard, it is critical for organizations to validate the integrity of their wireless networks. Additionally, it is critical that any systems that have been patched for this vulnerability are tested to confirm that the patch has been implemented correctly. CKI provides resilient solutions and cybersecurity for critical assets and infrastructures to government agencies, armed forces, and commercial industries. Their federal and commercial experience, highly skilled workforce, strong management plans, and dynamic security landscape complement the services of RPI enabling the partners to provide their clients with the highest service and engagement possible. Camp Lejeune, NC - RPI Group Inc. (RPI) has been awarded a prime contract to provide Energy Management Control System (EMCS) Support Services to the Public Works Division (PWD) at Camp Lejeune in North Carolina. RPI will be providing technical assistance with the Risk Management Framework (RMF) for DoD IT and the Marine Corps Certification and Accreditation Support Tool (MCCAST V2) for achieving and maintaining Authorization to Operate (ATO) for EMCS. RPI is strategically teamed with Johnson Controls (JCI) to provide knowledge, training and support to assist the PWD program in the understanding, operation, maintenance, management and utilization of the EMCS. This was a two-year capture effort has led to a new capability for RPI that should be marketable to other DoD and commercial organizations. Johnson Controls is a “global diversified technology and multi industrial leader serving a wide range of customers in more than 150 countries.” They are joining RPI to provide “innovative solutions to drive the future of urban efficiency” and cybersecurity. RPI Group, Inc. is extremely proud to announce its newly awarded Prime contract award providing Air Force Operations & Maintenance (O&M) Services for the United States Air Force’s Imagery Compilation and Exploitation (ICE) contract. This single award, multi-year contract has an initial contract ceiling value of approximately $22 million, inclusive of a base year and 4 one-year options. RPI’s responsible placement of Enterprise Engineers and Systems Analysts across the United States is illustrative of its robust technical and business capabilities to the U.S. Air Force (USAF) and the Warfighter. April 2017 – Orlando, Florida – RPI Group attended and was a Platinum sponsor for Progressive Railroading's Third Annual Secure Rail Conference held in Orlando, FL. The conference featured 20 presentations on topics that addressed how railroads can improve the security of their assets, passengers and employees. The event's first session was a panel discussion on how railroads can manage cybersecurity risk. Our Director of Cybersecurity, Jeff Watts, presented the next brief on Applying DOD Risk Management & Assessment Experience to the Transportation Sector. RPI was able to address North American rail security concerns with the audience from an organizational perspective with a focus on cyber security. Overall, the conference attendees believed that physical vulnerabilities to rail systems remain, but the greatest security risk to the industry right now may be found online rather than onboard. Attendance at the conference was critical to marketing RPI’s Positive Train Control (PTC) capabilities and their recent contract wins with the Virginia Railway Express (VRE). PTC refers to communication-based/processor-based train control technology designed to prevent train-to-train collisions, over speed derailments, incursions into established work zone limits, and the movement of a train through a main line switch in the improper position. The conference also featured the Product Showcase Room, where RPI set up their corporate display including the wireless mapping technology used to support VRE and other clients. 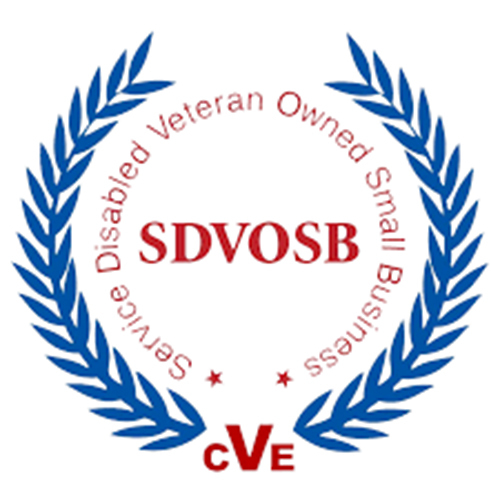 Founded in 2001, RPI Group Inc. is a privately-held, service-disabled veteran owned small business (SDVOSB) providing a variety of tailored services to the National Security Community and the Defense Department. RPI is headquartered in Fredericksburg, VA with offices in Lexington Park, MD; Dahlgren, VA; Charleston, SC; Huntsville, AL; San Diego, CA and Denver, CO. RPI brings together an accomplished team of national security, systems engineering and cyber experts with the experience, relationships, and qualifications to support a wide range of clients. RPI offers cybersecurity services, secure wireless solutions, network engineering and architecture, training and certification testing, aviation systems engineering, and hydro-acoustic research and development. May 2017 – Denver, Colorado - The RPI Group and Team RPI Training Members, to include StormWind Studios, will work with the United States Army Training and Doctrine Command (TRADOC) to provide specialized, scenario-based virtual training to 96 TRADOC Information Assurance (IA) and Information Technology (IT) military and civilian employees. TRADOC “recruits and trains Soldiers, develops leaders and shapes the Army by building and integrating formations and capabilities.” Their goal is to consistently improve the Army through designing, acquiring and building its future. The courses that RPI Group will provide include Microsoft 70-697: Install, Configure, and Support Windows 10, CompTIA Security+ (SYO-401), Certified Information Systems Security Professional (CISSP), Information Technology Infrastructure Library (ITIL) Foundation and other Cybersecurity courses that support the US Army IA Best Business Practices. StormWind Studios® delivers game changing Epic LIVE®, Instructor-Led training that combines state of the art "Hollywood-style" computer generated imagery (CGI) with award-winning instructors, and the most current content available, to create a stunning form of virtual-sensory learning that visually captivates students and increases retention. Personnel who have completed the virtual training sessions will be tracked, where applicable, using PEARSON VUE’s Asset Management System (AMS) for online practice tests to demonstrate mastery in the subject matter in order to prepare themselves for professional certification. Pearson VUE’s AMS solution will be used to manage TRADOC’s learning resources to ensure students are ready for their certification exam by connecting the student’s exam practice test to the distribution of their exam voucher. This methodology ensures that only students demonstrating competent knowledge and familiarity of the exam objectives (by successfully meeting the practice test thresholds) are provided an exam certification voucher. Founded in 2001, RPI Group Inc. (RPI) is a privately-held, service-disabled veteran owned small business (SDVOSB) providing a variety of tailored services to the National Security Community, the U.S. DoD and the commercial marketplace. RPI brings together an accomplished team of national security, systems engineering and cyber experts with the experience, relationships, and qualifications to support a wide range of clients. RPI’s core capabilities include: Cyber Security & Secure Wireless Solutions, Network Architecture & Engineering, Training & Certification Testing, Hydro-Acoustic Research & Development, and Acquisition & Systems Engineering and Technical Assistance (SETA). RPI is headquartered in Fredericksburg, VA with offices in Lexington Park, MD; Dahlgren, VA; Charleston, SC; Huntsville, AL; San Diego, CA and Denver, CO.